Three hours after an extraordinary dinner at Doku, the first thing that you can only utter is Oishii. It means delicious in Japanese. 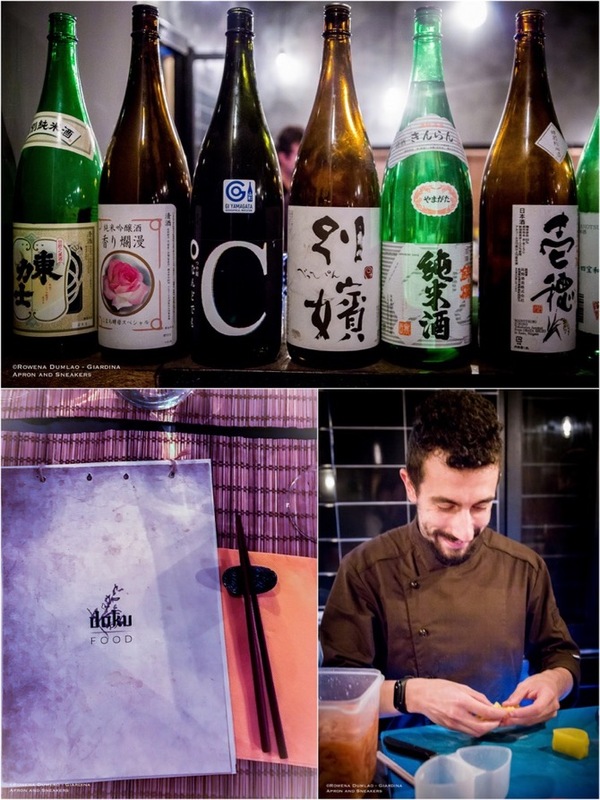 Simone Puteo, a young Italian chef who's an ardent lover of the Japanese gastronomy, grew up knowing the cuisine by heart. And this love led him to the four corners of Doku and opened its doors last year to the Romans. 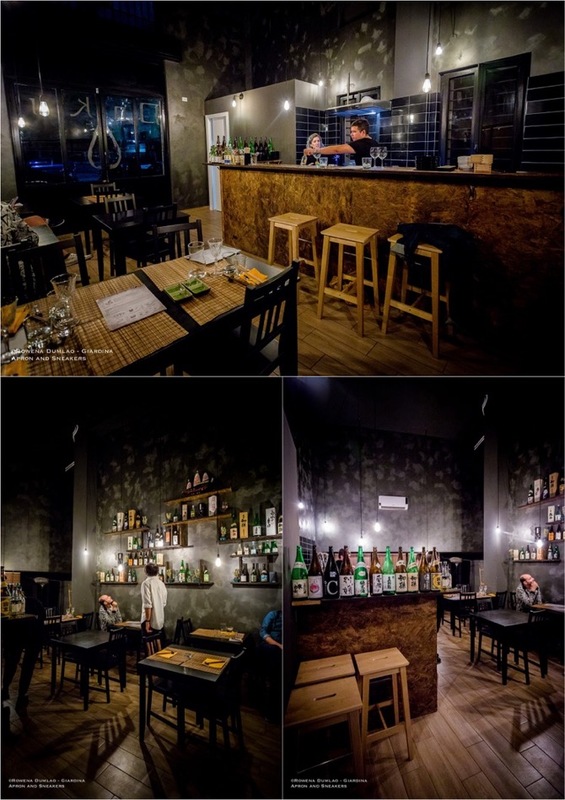 Forget about sushi, sashimi or ramen because when you enter the doors of Doku, you will get a re-education of Japanese cuisine. 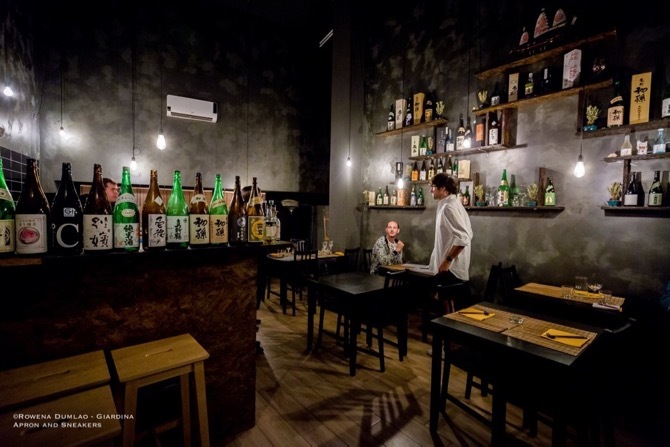 The menu has very interesting traditional Japanese dishes which are all prepared by Simone except for the dessert that come straight from a pastry maker in Hiroshima, Japan. 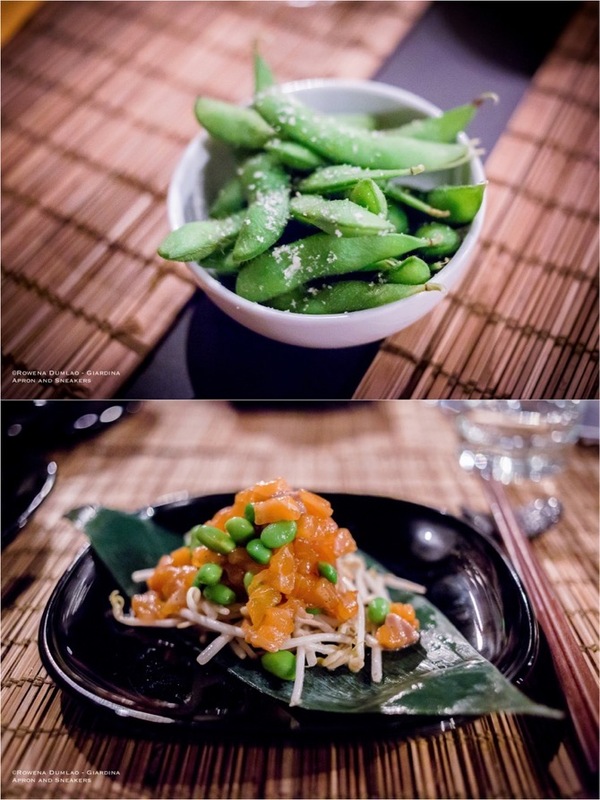 Start with the Zensai or Appetizers (€3 - €6) of the protein-rich Edamame (steamed green soy beans in the pod), Takuan Zuke (pickled daikon radish), crispy, fresh and full-flavored Moyashi Sarada (fresh soy bean sprouts with dressing) or his other proposals. 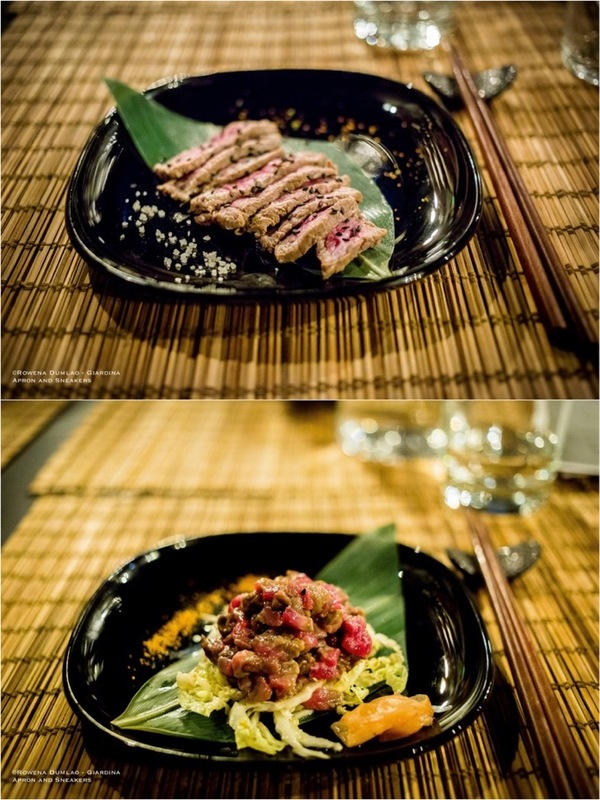 Afterwards, move to the Niku or Meat (€6 to €8) and Sakana or Fish (€7 to €10). 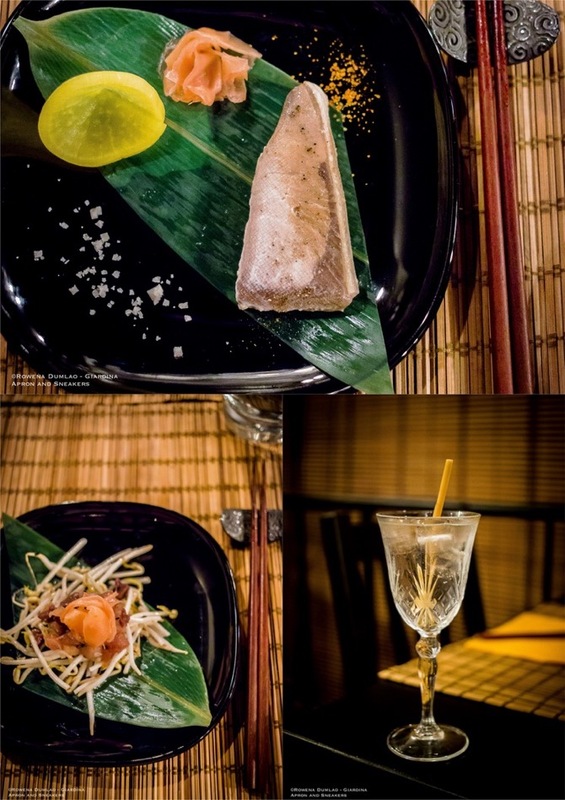 The Gyu Tataki (marinated beef) and Koushi Tataki (marinated veal) are distinctively tasty while the Sake Teriyaki (salmon fillet in sauce), Buri Firetto (fillet of Japanese greater amberjack), or Buri Torro (belly of Japanese greater amberjack) actually melt in your mouth. 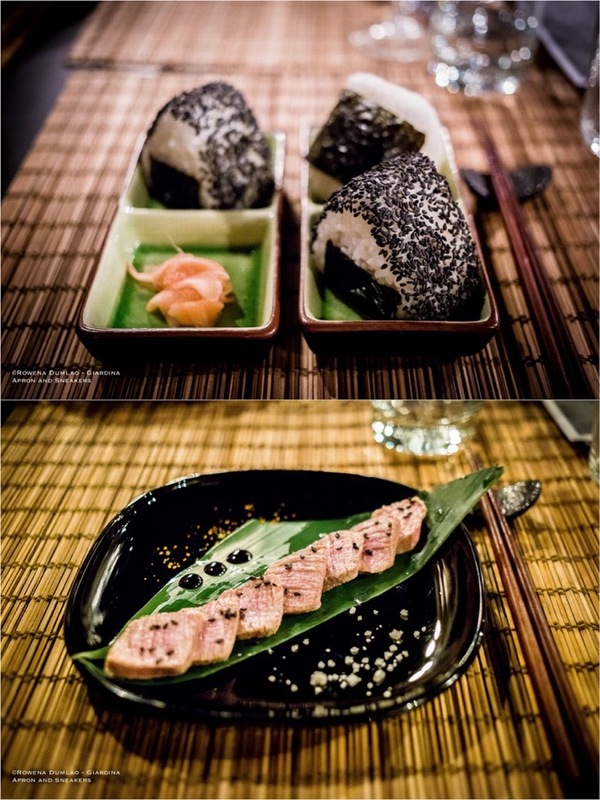 For the more familiar options, there are six kinds of Onigiri (€3.50) available with salmon, shrimp and tuna inside. 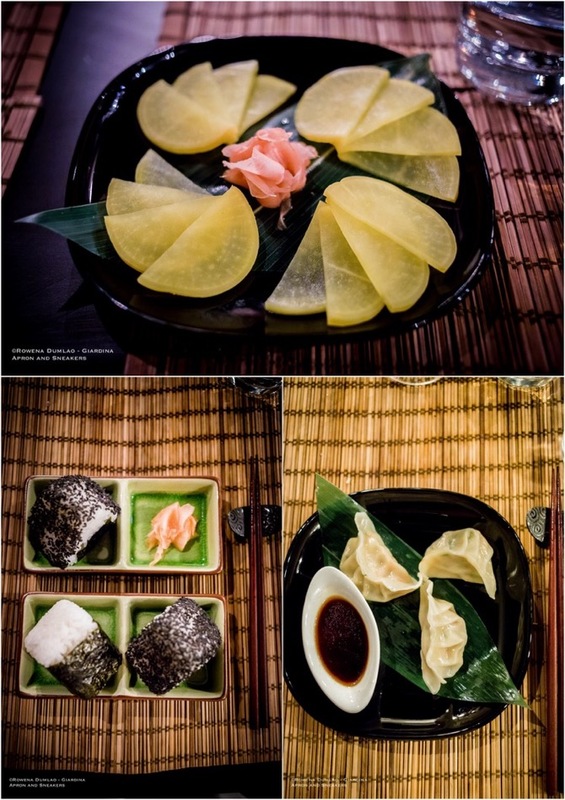 You might want to try the Umeboshi Onigiri which has the piquant pickled Japanese prune inside. Other entries are the Gyoza (€4 to €6) with different kinds of fillings - lightly spiced pork, shrimp, chicken, vegetables and mixed. 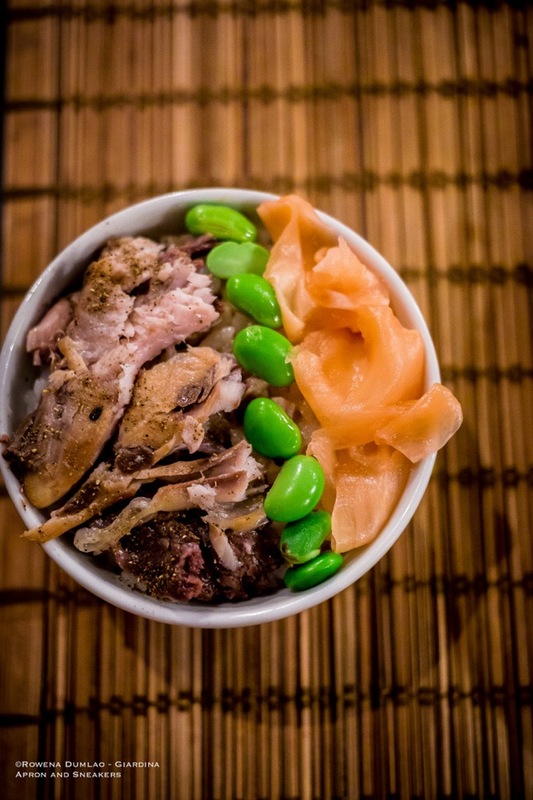 The Donburi (€4 to €11) are more filling with rice as the base and topped with meat, fish or vegetables. Dezato or Dessert (€4 to €5) are the traditional Dorayaki and variations of Mochi and Simone entrusts this part of the meal to the pastry maker in Hiroshima. 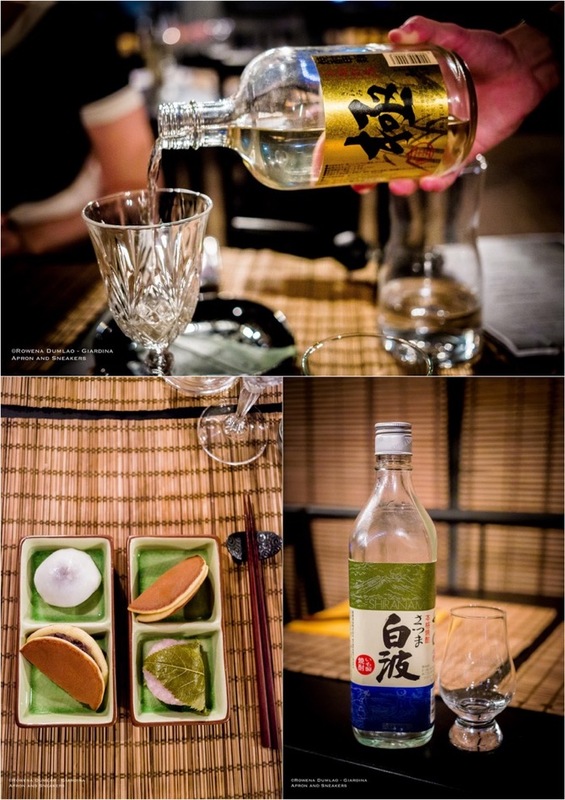 Apart from the distinguishing genuine Japanese cuisine found at Doku, sake plays protagonist as well. Sake is the typical alcoholic drink obtained from the fermentation of rice in Japan. The tastes vary according to the variety of rice used while a range of interesting aromas come out from the diversity of the yeasts used in the sake. 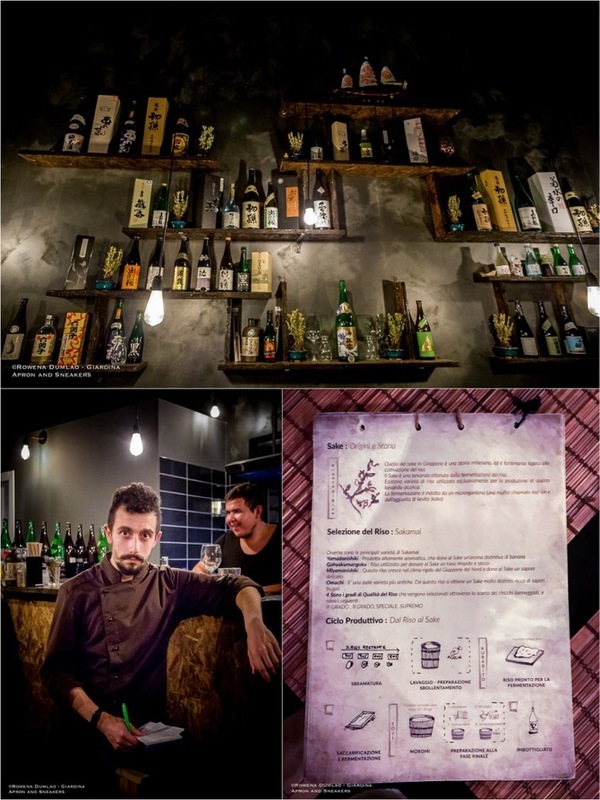 At Doku, you can find more than fifty kinds of sake in the menu. 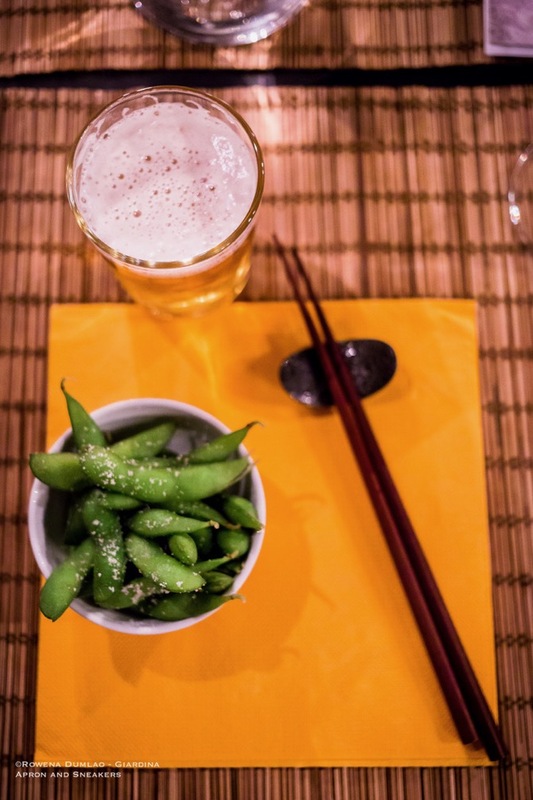 With Simone's guidance, choose the right sake to pair with your food, designating the right food that goes with the matching aromas and flavors of sake. 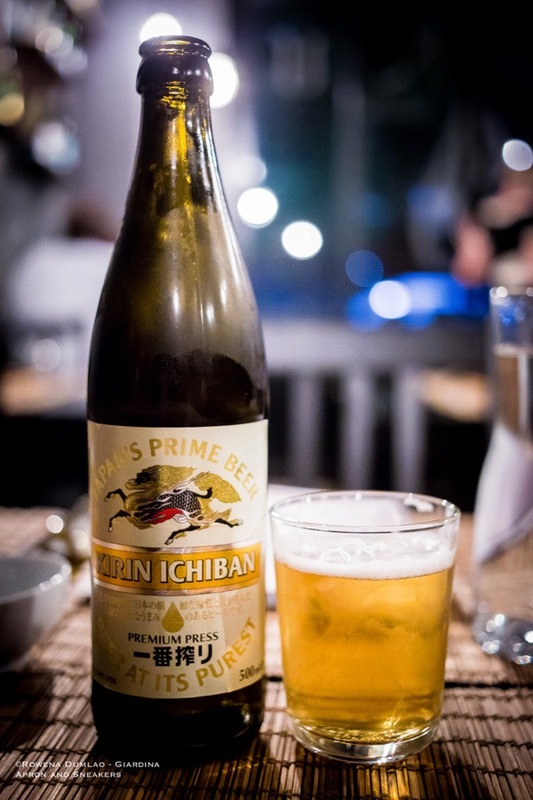 There are different sake styles that include delicately sweet ones, bold and fruity unpasteurized, highly acidic kinds or the smoky aged sakes. A Japanese wine expert says that pairing food with sake doesn't have to be precise because sake is more forgiving than wine. The most important thing is to keep your mind open for possibilities and experiment with the tastes. 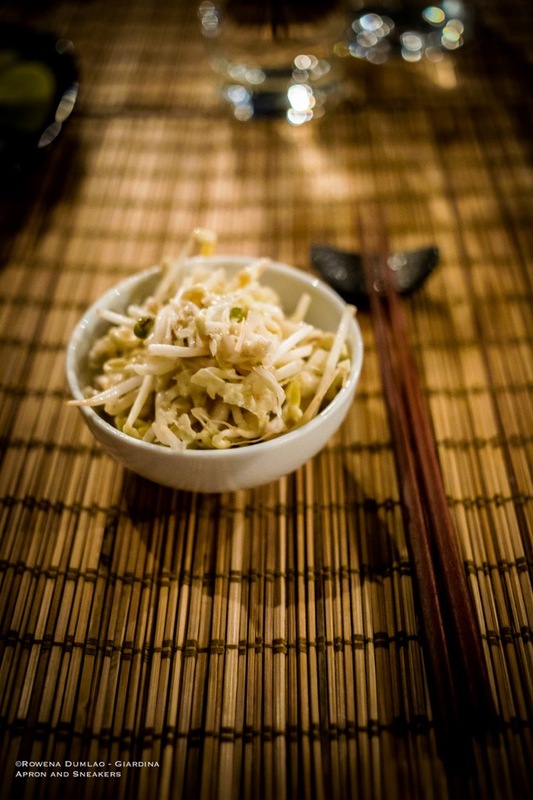 Do keep in mind that the basic rule in pairing is to consider the lightness of the food with the lighter sake style and the heavier style with the richer dishes.